Save space and boost productivity with the 9120-D-28 quad monitor setup. 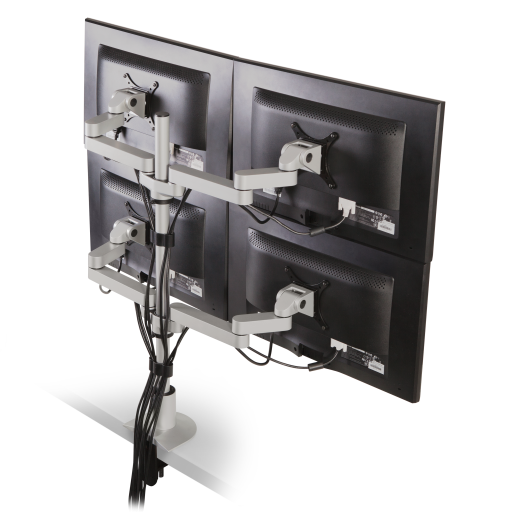 Mount four flat panel monitors side by side and position each one independently, allowing for easy adjustment and placement. 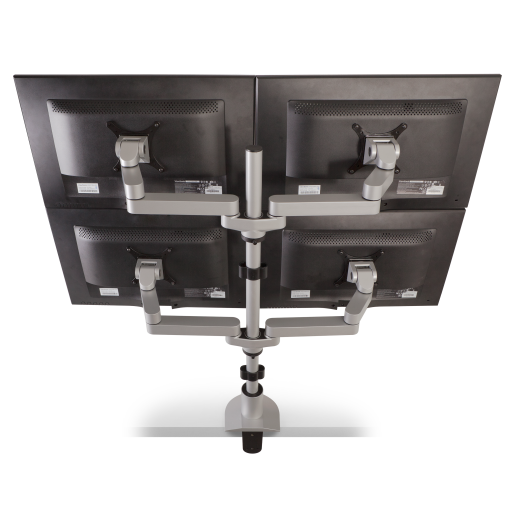 Mount four flat panels in minimal space with this feature-packed quad monitor stand. Move each monitor independent of the others, in order to get ideal placement for your work surface. 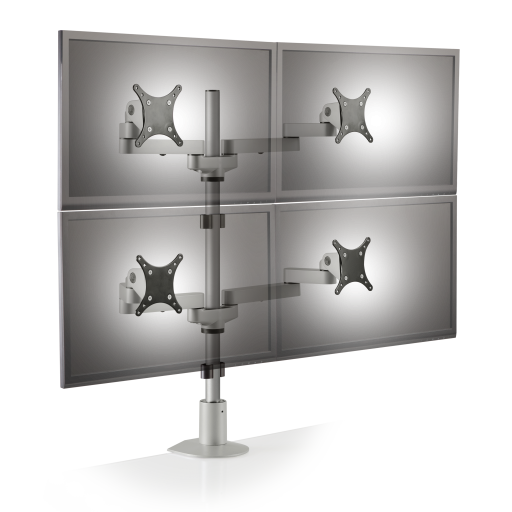 The quad flat panel stand is height adjustable along the included 28″ pole mount.